Now that’s what we call multi-talented! Bryan Fenkart and Ashley Blanchet can belt out Broadway tunes and flip burgers in Shubert Alley. 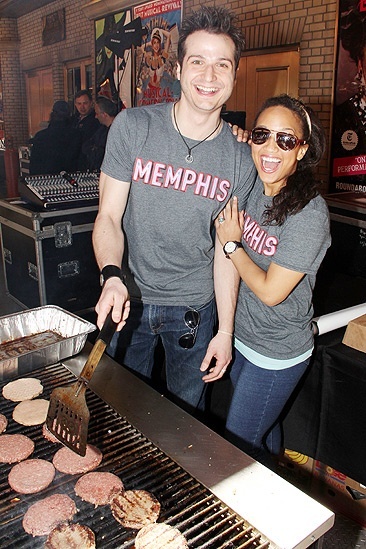 Memphis hosts a barbecue in Shubert Alley on June 3, 2011.